Hello, dear friends! I know it's been awhile since I've been here with a personal post, but it's just been difficult for me as I'm still dealing with insomnia. Oh, my...not getting enough sleep can really make things difficult in ones life. I'm trying to do what my husband says and just do what I can and not worry about things. It's difficult at times, though. Praying, praying, praying for some relief from this! I'm trying to create when I can so I'm going to share some of the projects I've worked on over the past few weeks. Again, I'm so thankful that I have my craft room in the house as it's made a huge difference for me! 100. I found this cute paper mache pumpkin at Joanne's on sale for half off and just knew it would be adorable when painted. Here's a picture of the finished piece. I just adore this and am so happy with how it turned out. 101. I also started this cute pumpkin doily! I wanted something for fall and don't have anything made for the season so decided it was time to make something. I found those wonderful crochet hooks with the handles so I can now crochet with thread again. I'm enjoying it so much!! 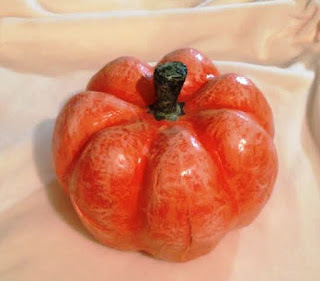 Can you see those cute little pumpkins in the round? This is just the center of the doily and it will be much bigger. 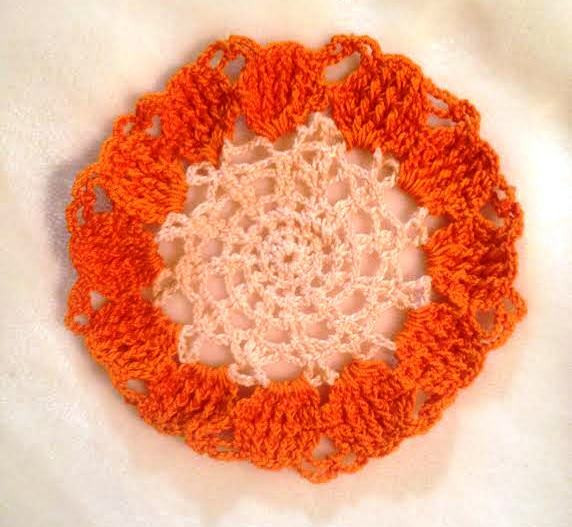 The next part of the doily is the light peach again so those pumpkins will stand out quite nicely! So fun to be crocheting these again and such a blessing! I hope you've had a lot of blessings in your life! Please share in the linkup or in the comment section! I love hearing about all your blessings. Oh, dear friend! I am SO sorry to know you are battling insomnia. I have had it, and it is so horrible. Bless your heart. I am praying for you now and believing God to heal you and give you relief. 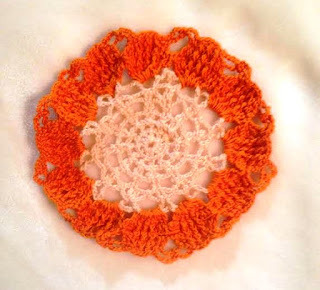 I LOVE the pumpkin doilies! I love to crochet. Thank you for hosting another link-up. Sending you lots of love and hugs! 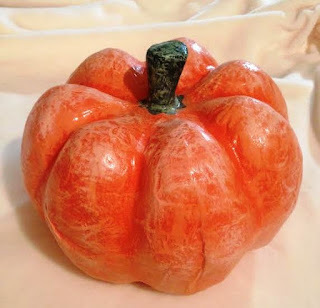 Your pumpkin creations are so sweet.